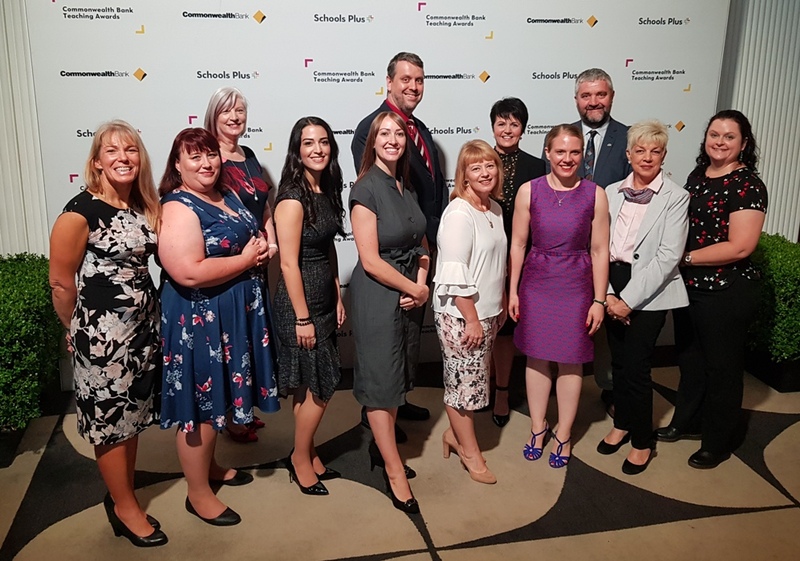 Twelve inspiring teachers were today recognised for their work in creating long-term meaningful change for their pupils, schools and the wider community, as part of the 2019 Commonwealth Bank Teaching Awards. Co-presented by the Commonwealth Bank and education charity Schools Plus, the awards are amongst the most prestigious for educators in Australia. At today’s ceremony in Sydney, each recipient received a prize valued at $45,000 to assist with their professional development, roll out a new education project in their school, and take part in an overseas study tour to a high-performing education system. The 12 new Teaching Fellows – from Western Australia, Victoria, NSW, Queensland and the Northern Territory – were selected from more than 400 award applicants. They include a maths department head who's using spatial training to engage Indigenous students in maths, a STEM coordinator who's developed a robotics program that integrates Aboriginal language and culture, and an assistant principal who's developed resources which address the needs of “twice exceptional” students – those whose giftedness is accompanied by disability or other learning needs. Schools Plus CEO Rosemary Conn said the 12 new Fellows were changing the lives of thousands of Australian students through their creative and inspiring approaches to education. “These 12 outstanding educators go to extraordinary lengths every day to create a connection with their students and provide the sort of teaching that can change students’ lives. And they all share one view – that every child, no matter their background, has the ability to succeed,” Conn said. “The contribution teachers make to the development of our children is incredibly important and often undervalued in our communities. The 2019 winners will now join 24 alumni from previous years (2017 and 2018) who have been nationally recognised as leaders and experts in their field, and who have made a real difference to their local community. By sharing their inspirational stories and celebrating their achievements, the Fellowship aims to inspire other teachers and promote excellent teaching practice across Australia. Through a partnership between Schools Plus and the Varkey Foundation, the Teaching Fellows are also invited to apply for the Global Teacher Prize, which is valued at US$1 million. Three Teaching Fellows were shortlisted in the Top 50 of the 2018 Global Teacher Prize, with one of those – Eddie Woo – named in the Top 10. Two Teaching Fellows were shortlisted in the Top 50 of the 2019 Global Teacher Prize, with Yasodai Selvakumaran going on to be named in the prize's Top 10. Click here to learn more about these inspiring Teaching Fellows.